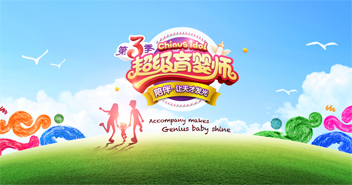 Chiaus diaper company get his 10th anniversary, these years, Chiaus achieved his goal to become the famous diapers brand in China.The next decade goal is to spread Chiaus brand to the world and make more babies use our quality,soft and affordable diapers. 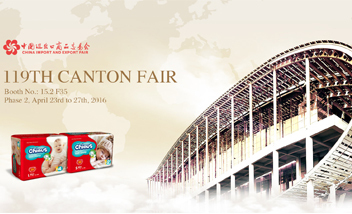 The Canton Fair is a trade fair held in the spring and autumn seasons each year since the spring of 1957 in Guangzhou, China. 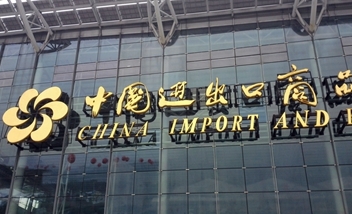 It is the largest trade fair in China, attracting a large amount of people all over the world to attend it every year. What can we do after the problematic vaccines matter happened? Recently, the topic of "25 kinds of vaccines which have not been frozen entered into 24 provinces illegally " is focusing highly by the media. 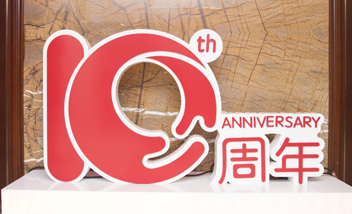 Chiaus attened the 117th canton fair in Guangzhou China. We exhibited our newborn baby diapers, adult diapers, baby training pants. Our booth attracted a lot of buyers.